What better time to wear bright yellows than in the summer? 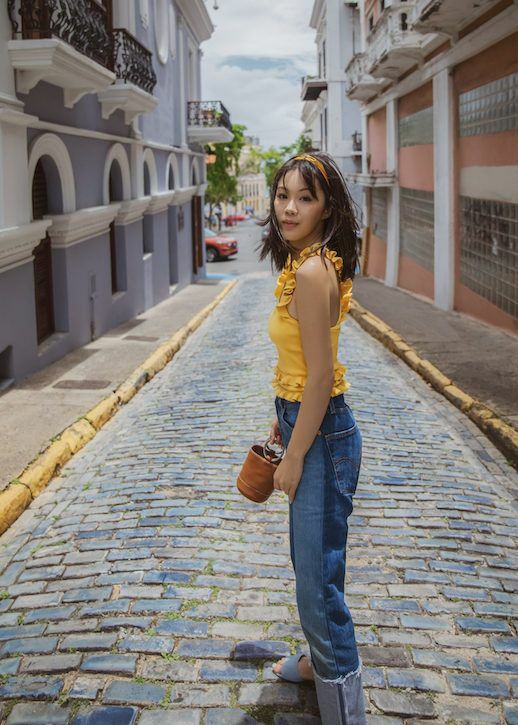 This fashion blogger posted a cute, casual and easy look while traveling. Her bright mustard C/Meo ruffled tank, cuffed two-tone straight-leg jeans and pastel blue mules paired perfectly together.